I have been a practising graphic designer for over 16 years, with wide-ranging interests in the visual arts. My recent return to photgraphy has seen personal projects on the beaches of the south and east coasts of England and, most recently, looking at details and vistas in the English Lake District. My aim is not simply to document what others have already seen in these familiar surroundings, but to find drama in shapes, textures and scale. Consequently, all my works to date have been in black and white print form, to further heighten these qualities. Weathered tide breaks. 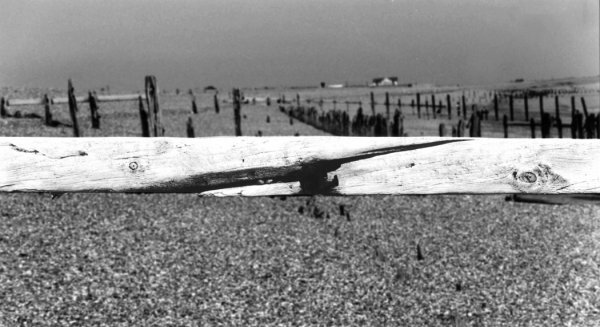 Winchelsea, East Sussex, 2001. Oil Drum. 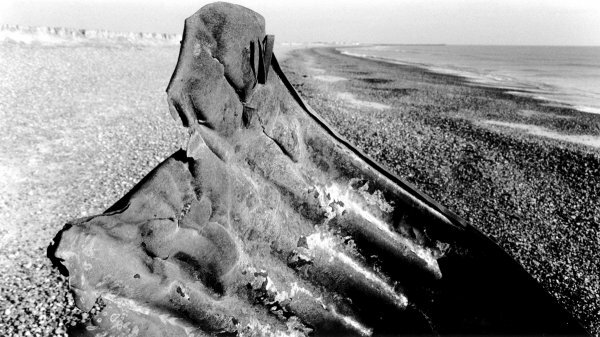 Winchelsea, East Sussex, 2001. Log seat. Ullswater, Lake District (Cumbria), 2002.